I think you are pretty spot on there . 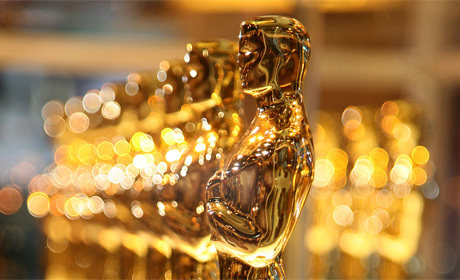 The only categories that could differ are best supporting actress and best supporting actor. Obviously as you know bafta irritated me with their award for Jennifer Lawrence which could be repeated at the Oscars and Jared Letto is in with great shout too. It was definitely a tough call! Originally I thought Lawrence had it in the bag, but I have seen so much coverage of Lupita and noticed the buzz surrounding her that I went against my better judgement and followed the guy instinct! I even saw her on the Ellen show, who as I’m sure you know is presenting! And in that show, Ellen presented her with the various magazines she is on the cover of! The good thing is, whether she wins or not, we’ll be sure to see a lot more of Lupita in the future! I wouldn’t want to bet money on Supporting Actor, as i know Fassender is very popular (and very good in 12 Years) but also Jared Leto’s performance is oscar worthy. It’s the toughest category in my opinion! What do you think about Leonardo DiCaprio getting his first oscar for WOWS? I think the McConaissance should win, but theres a chance DiCaprio could win as an accumulative appreciation! I certainly wouldn’t mind if he did! It would say a lot about how well actors performances vary in different roles; especially if you look back to his horrible performance in Oliver Stone’s Alexander in comparison to his brilliant transformation in Dallas Buyer’s Club! Thanks for reading, hope you enjoy Sunday’s show! I’m soo behind with my movies this season, I hope to catch up before Sunday. With my limited knowledge, I agree with Best Picture, Actor in Leading role and Director. Best actress… Amy Adams, or Bullock might have chances, but you never know with Meryl Streep. Actor in supporting role, Leto. Best Song, Happy (currently on my running playlist). I was torn between Happy and Let it Go, but I’m hoping the academy see Happy as a stand alone song, whilst Let it Go is integral to the story. It’s definitely a close one! However, I have absolute certainty that Cate Blanchett has Best Actress! Have fun catching up with the remaining films this week and thanks for your comment! Wow – you only have American Hustle winning for Best Costume Design. I think it will do better than that. haha in a weird way, so do I! I listed them individually without thinking about how many each film got, but when you see that American Hustle only gets won if I’m correct, that can’t be right! There are too many Hollywood favourites involved! Congrats!! You’ve got most of them right. Congrats, you were predictions were spot on!! It was quite entertaining, Ellen knows how to put on a show… and Jared Leto won! !